On paper it had all the potential for being a classic screwball comedy built around a contemporary mindset, but in what seems to be a continuing trend, What Men Want is yet another movie that makes you wonder if Hollywood even knows how to make a comedy any more. 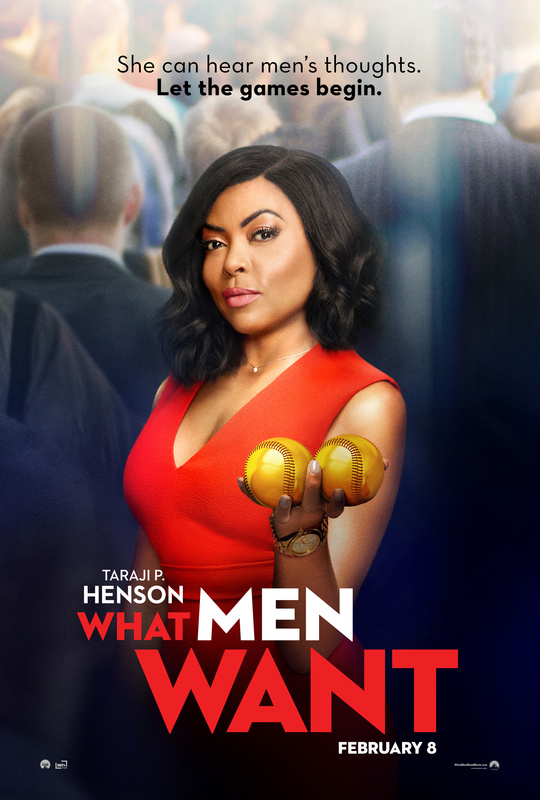 Telling the story of a lone female sports agent (Henson) at a prestigious agency who is forever battling against the “boys’ club” that determines who makes partner, this remake of the Mel Gibson-starrer What Women Want (2000) – you see what they did there? – runs for nearly two hours and for long stretches forgets that it’s meant to make its audience laugh. They say that comedy is more of a challenge than tragedy or straight up drama, and in many ways “they” are right, but with all the talent and facilities available to producers in Hollywood, why is it that when it comes time to make us chuckle and smile, or even give out a big belly laugh, the movies that can do this are so few and far between? When was the last time a mainstream comedy really did deliver the goods and proved itself to be consistently funny? Was it The Spy Who Dumped Me? Or maybe Night School? Or what about The Happytime Murders (yes, what about it?). There are too many comedies being churned out that follow the same safe formula: the lead character has to embark on a journey of self-discovery and become a better person. Along the way they’ll find themselves in all sorts of awkward situations, and decide that lying to everyone is the best way to get out of trouble, until later on when they realise the need to apologise and are unanimously forgiven. This is what happens in What Men Want, and Henson’s character, Ali (her father (Roundtree) is a boxing coach, just to make the metaphor stick all the more) uses her “gift” to get ahead at work while trampling over friends and colleagues and the obligatory love interest (Hodge) because that’s all she knows. Cue a multitude of platitudes and homilies about treating people with respect and being a team player and being true to yourself. But in amongst all the life lessons and the free psychoanalysis for anyone who behaves in a similar fashion in real life (the movie knows you’re out there), the script by Tina Gordon, Peter Huyck and Alex Gregory often resorts to padding out its scenes with unnecessary dialogue and extended “business” that add little or nothing to the overall narrative. And even less of this nonsense is actually, deliberately, intentionally funny. The movie simply tries too hard. It’s almost relentless in its efforts to be humorous, and only succeeds on any kind of regular basis when the material tries to be off-the-cuff, or it feels as if a line of dialogue has been improvised. It’s as if the structure and Ali’s character arc were deemed too important to tamper with and this left the comedy out in the cold and struggling to find a proper place for itself. And for a movie where a woman can hear men’s thoughts, and the immense potential of that idea, much of what is heard is uninspired and predictable. It doesn’t help either that Shankman directs with all the pizzazz and verve of a man who heard the word “anonymous” and took it as his own personal mantra, or that the supporting characters – usually the reliable comedic backbone of any self-respecting comedy – lack the purpose and the inappropriate eccentricity we’re used to (Badu’s weed-supplying psychic comes close but her appearance is the most interesting thing about her). 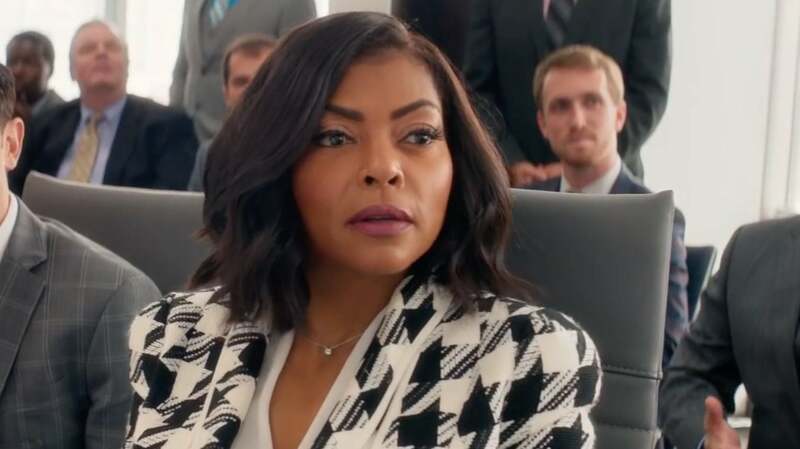 In the end, watching What Men Want is a dispiriting, frustrating experience that succeeds only in reaffirming the notion that Hollywood is wedded to formula and doesn’t want a divorce.